What do you do when you and your partner disagree about how to parent your children? You may be into peaceful parenting while your partner wants to punish. This question is posed to me all of the time, so I’m so thrilled to talk to Avital Schreiber, The Parenting Junkie, about it. Get curious rather than telling them what to do. Our partners don’t learn through criticism or threats. Solve the problem rather than blame. You must embody the same qualities you want your partner to show your children. 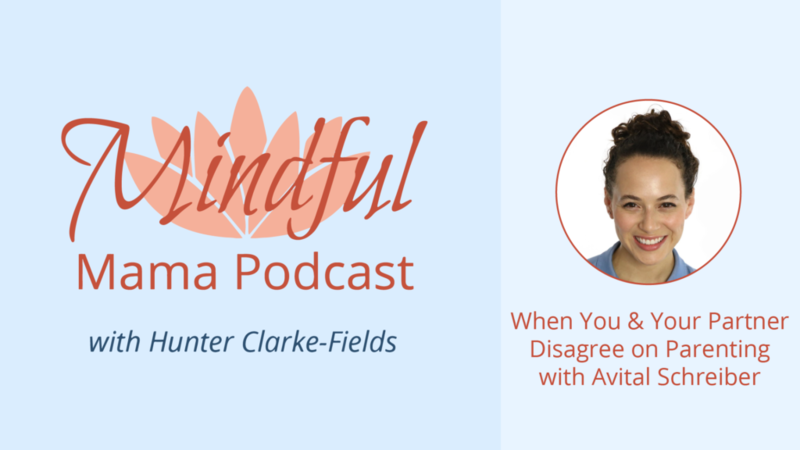 Avital is a mindful parenting coach and imperfect mom to four little, spirited gurus. She’s dedicated to helping you be the loving parent you most want to be.